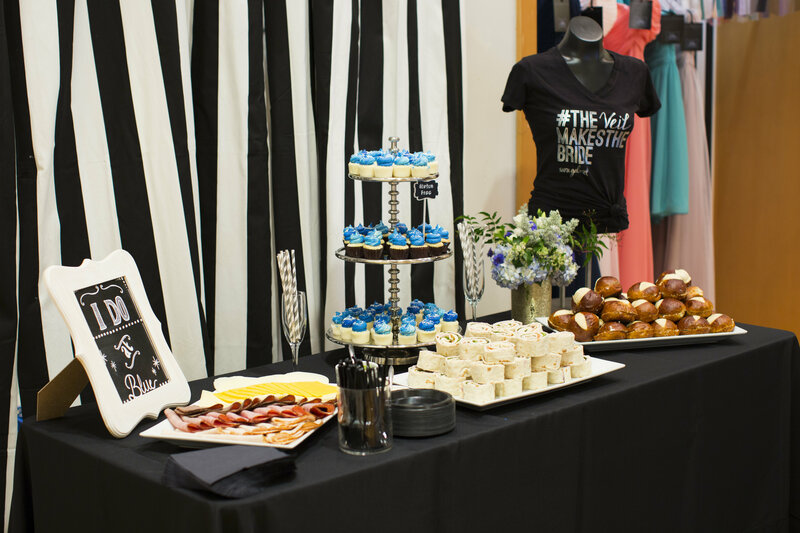 On May 23 we hosted our first Sip & Style event of 2015. 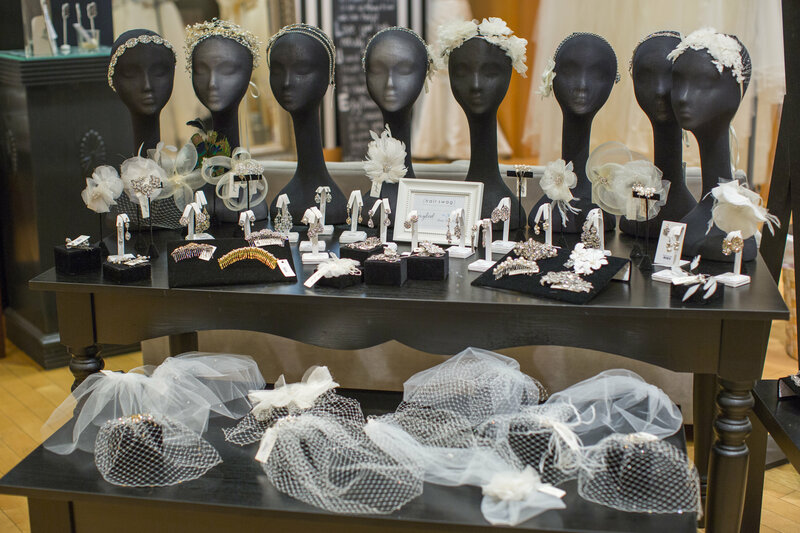 It was a blast, just as it has been for previous trunk shows featuring Sara Gabriel‘s stunning veils and accessories! 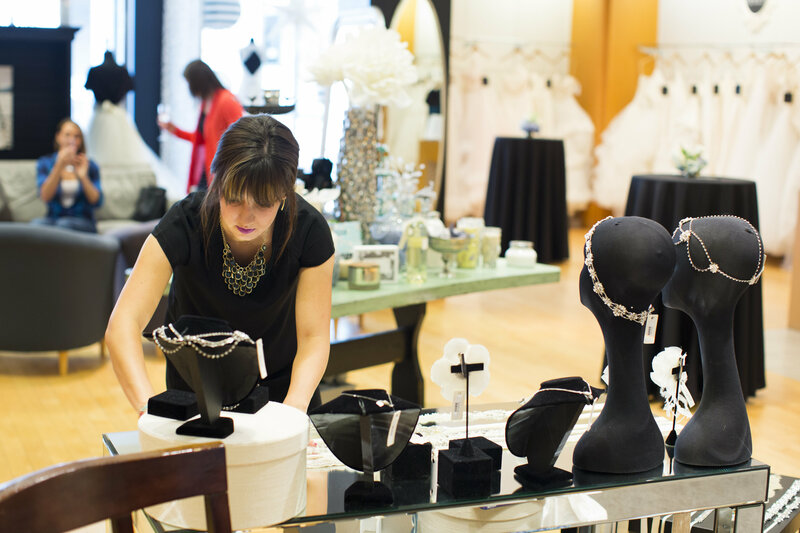 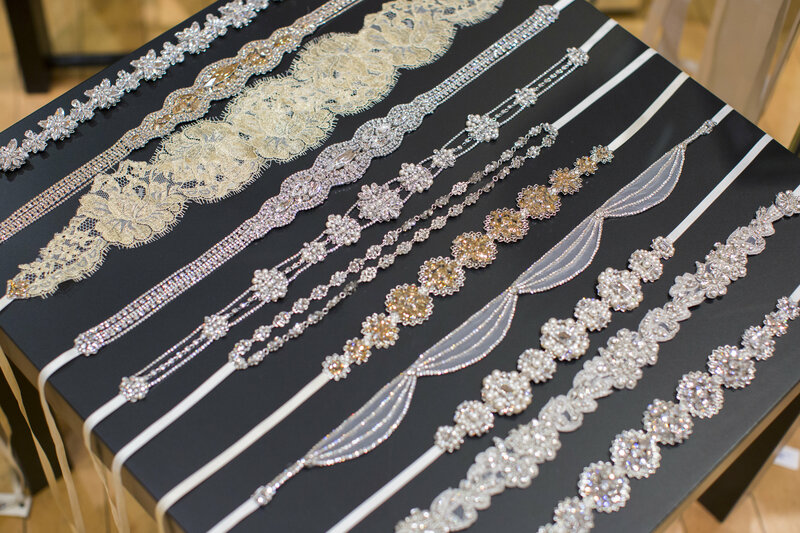 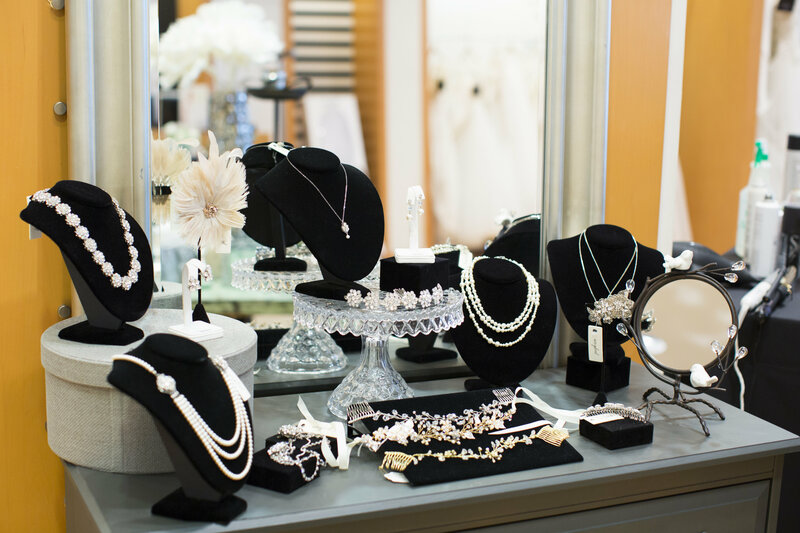 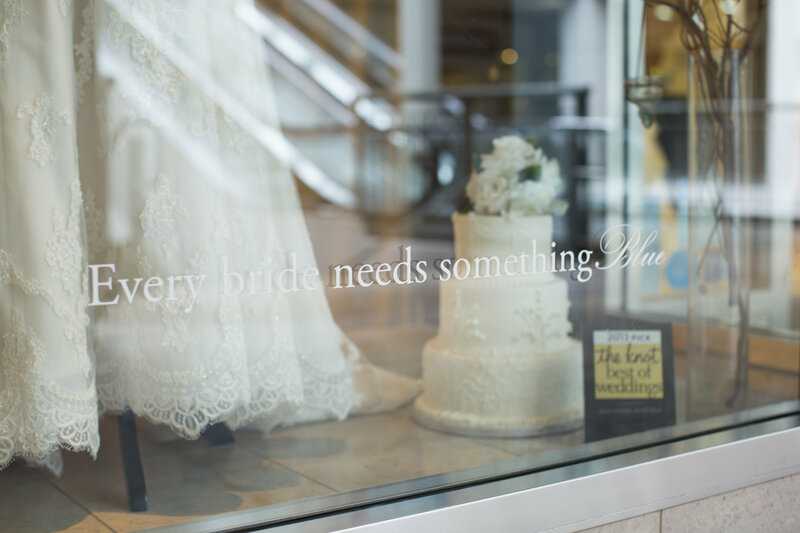 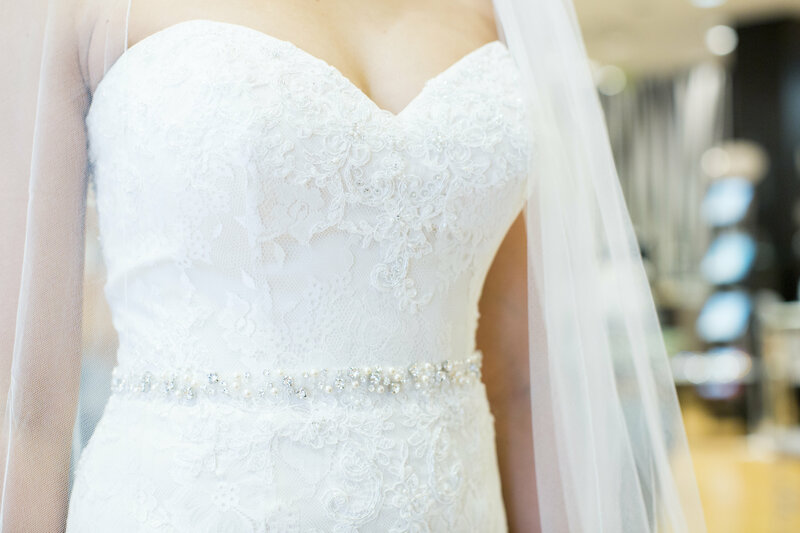 Our store was covered in delicate tulle, lace, and sparkling Swarovski stones, from this fabulous local designer. 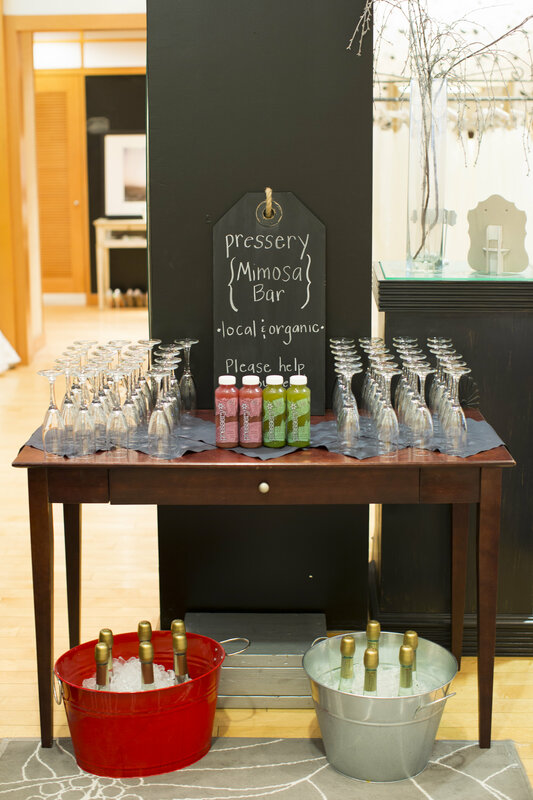 Pink Posey Design created beautiful floral arrangements for our entrance, front desk, and cocktail tables for a fresh accent and a pop of color. 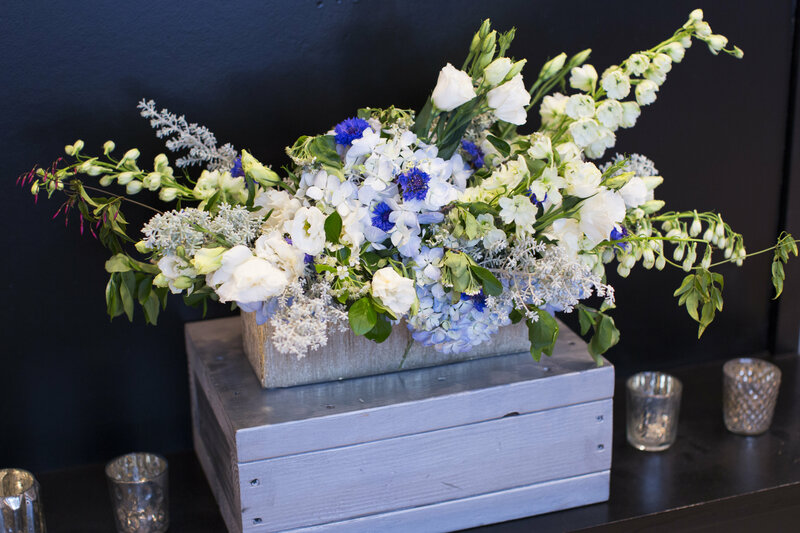 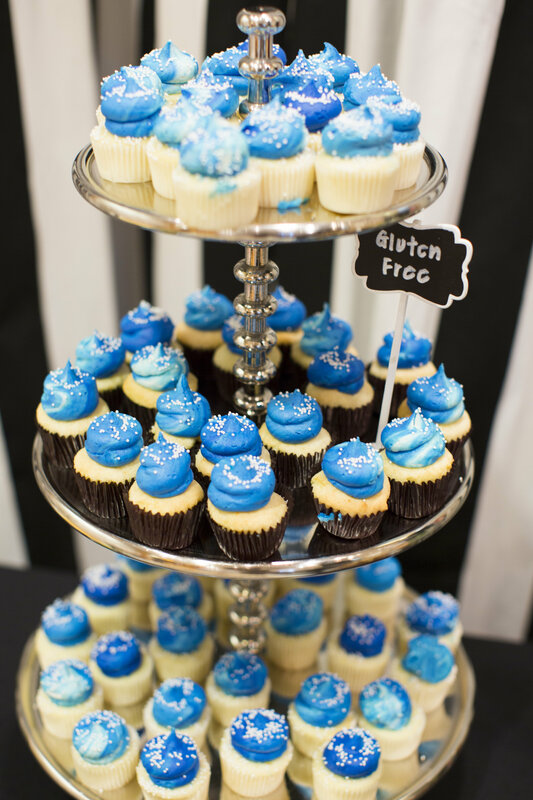 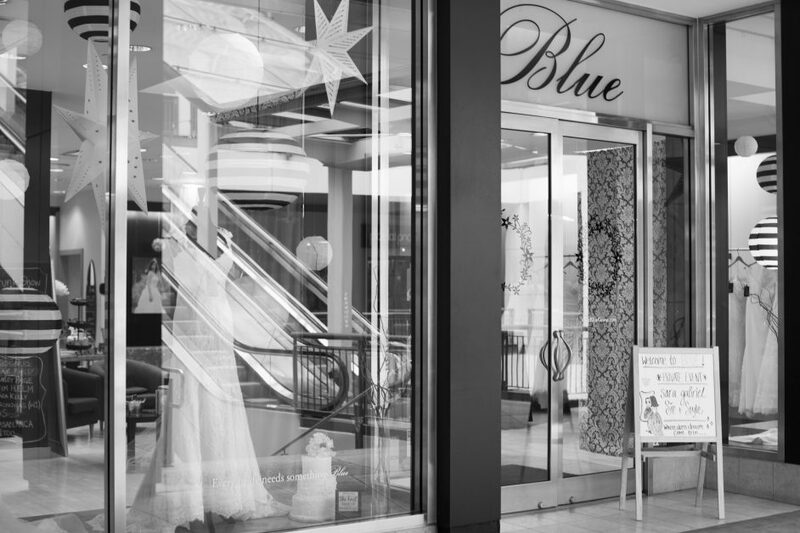 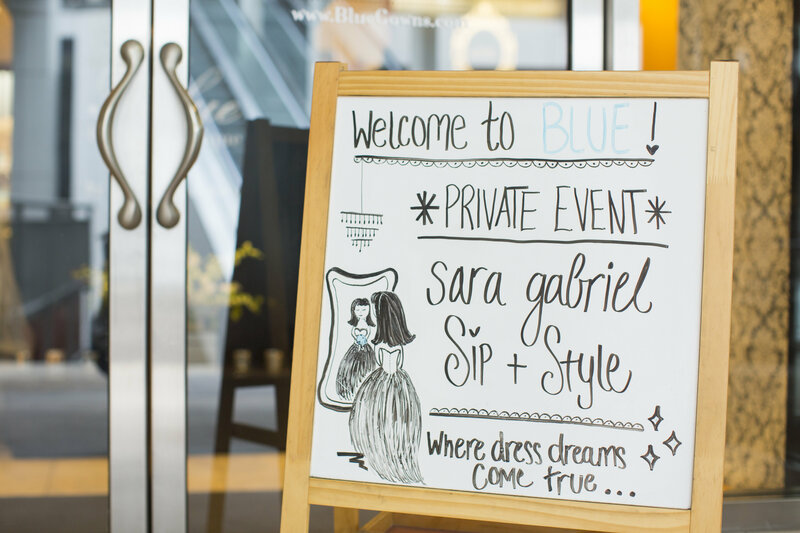 As each Blue Bride entered, they were welcomed by our Bridalistas and directed to the hors d’oervres, the mouth watering Gigi’s Cupcakes display, and champagne bar. 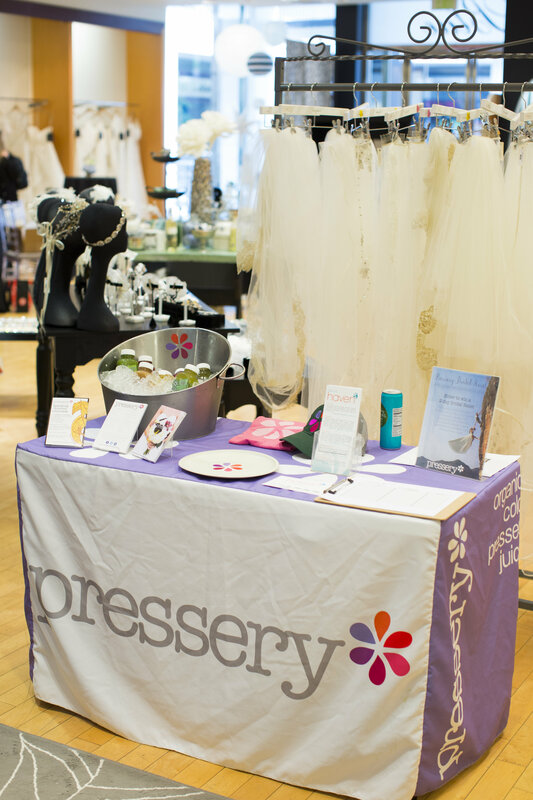 Local Colorado brand, Pressery, provided delicious and healthy fresh pressed juices that mixed perfectly with a glass of champagne – their representative, Meghan, was one of our Blue Bride’s, it was so fun seeing her again! 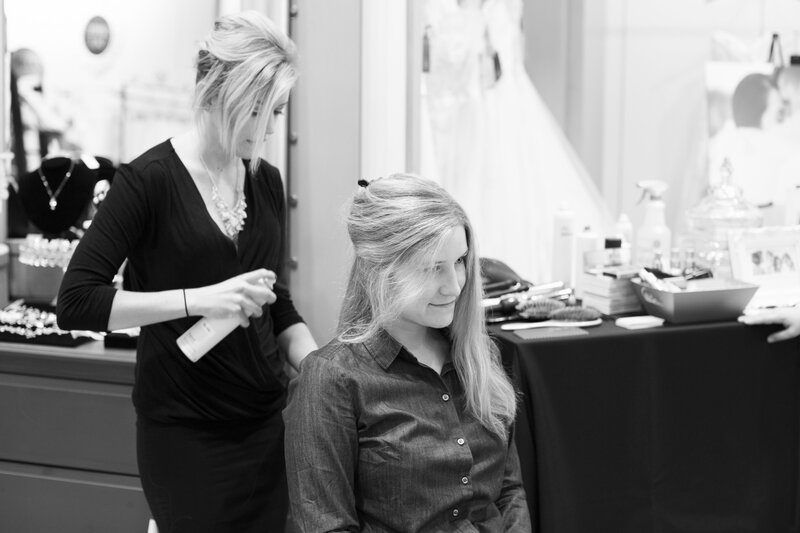 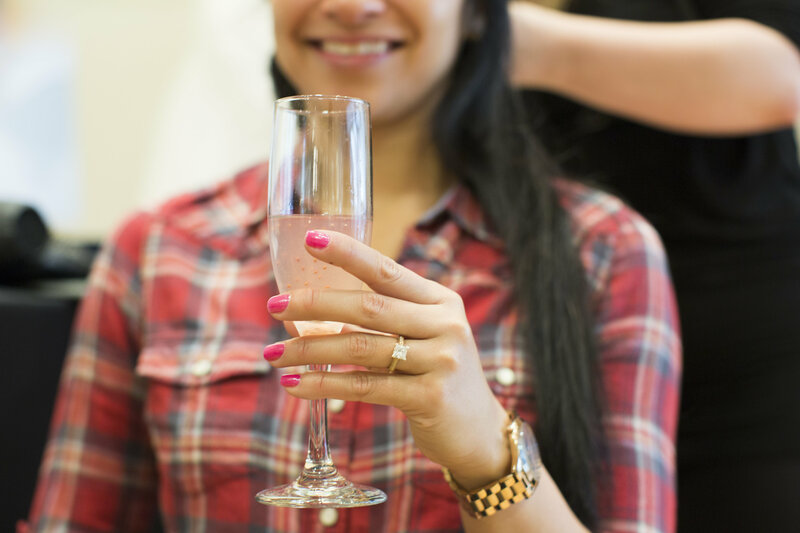 Once they were refreshed, our Brides had the opportunity to get their hair styled by Kacie McIntosh and the ladies of Let’m Have It Salon. 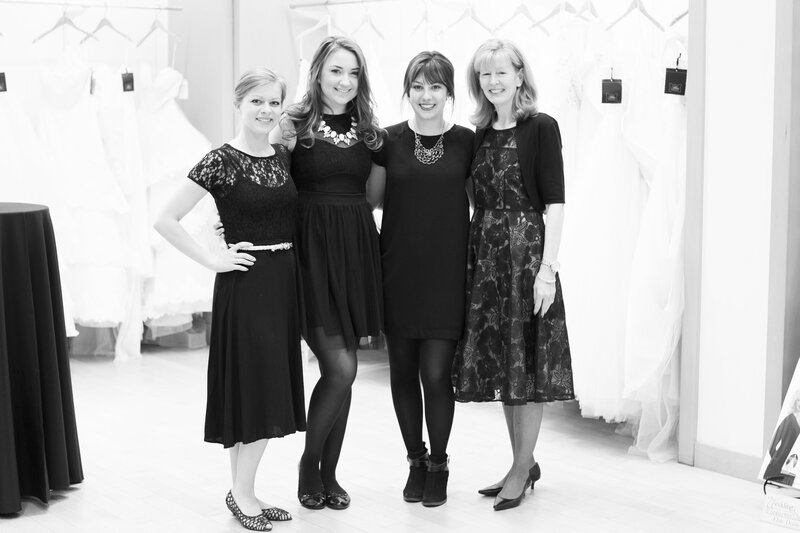 Then of course they were helped into their dresses and ready to be styled by our experienced Bridalistas! 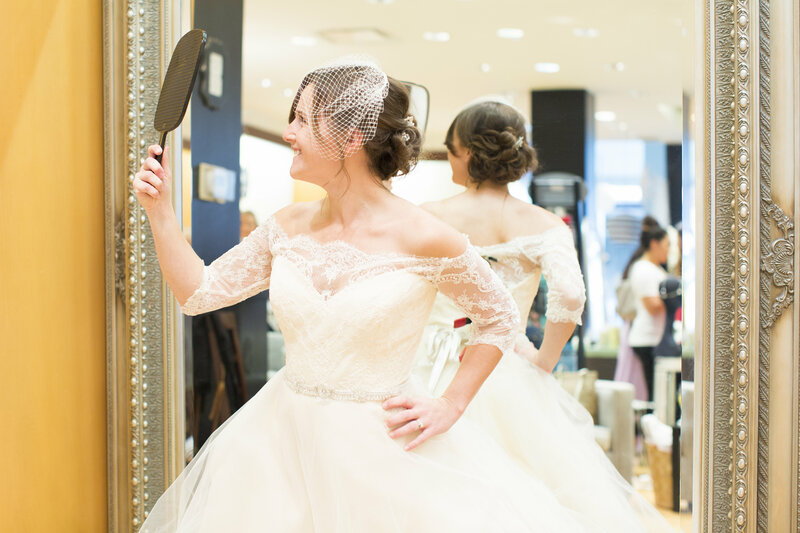 Such a fun day full of wonderful brides, vendors & glitz! 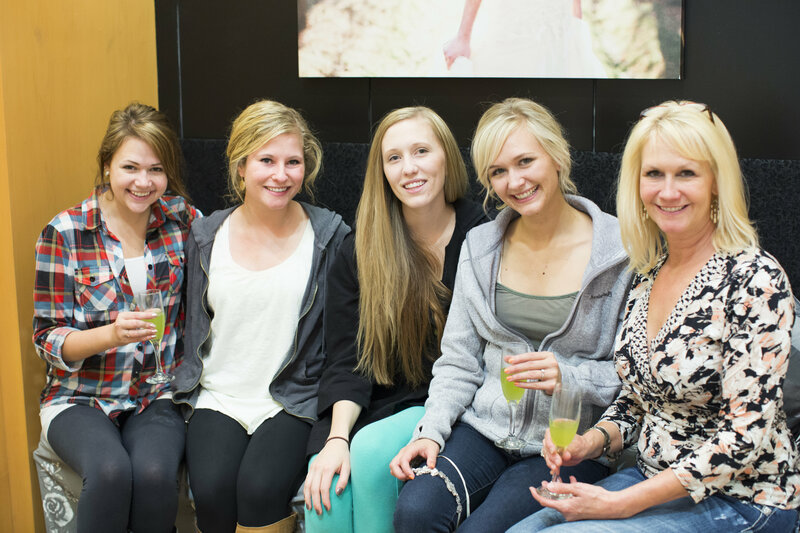 With us for the entire event was Jessi, of Jessi Dalton Photography, here to capture all of the fun and beauty!